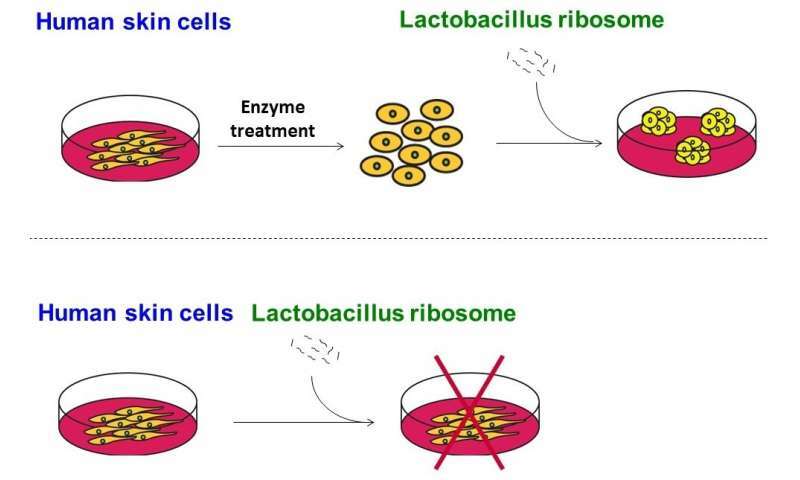 In 2012, a Japanese research group discovered that human skin cells acquire pluripotency when introduced to lactic acid bacteria (Lactobacillus acidophilus). Now, the same group of researchers has found that the cause of somatic cell conversion into pluripotent stem cells is the ribosome, a protein synthesizing cellular organelle. It was long thought that skin and nerve cells that have undergone cell differentiation in vertebrates do not transdifferentiate into other cell types. However, nuclear transplant experiments by Sir John Gurdon and the discovery of iPS cells by Professor Shinya Yamanaka, co-winners of the 2012 Nobel Prize in Physiology or Medicine, revealed the possibility for re-differentiation of cells that were thought to have reached their final stage of differentiation. Mature cells that are forcibly differentiated into new cell types may be referred to as "reprogrammed cells." iPS cells are pluripotent cells that are reprogrammed by forcibly expressing four sub-factors within the mature cells. 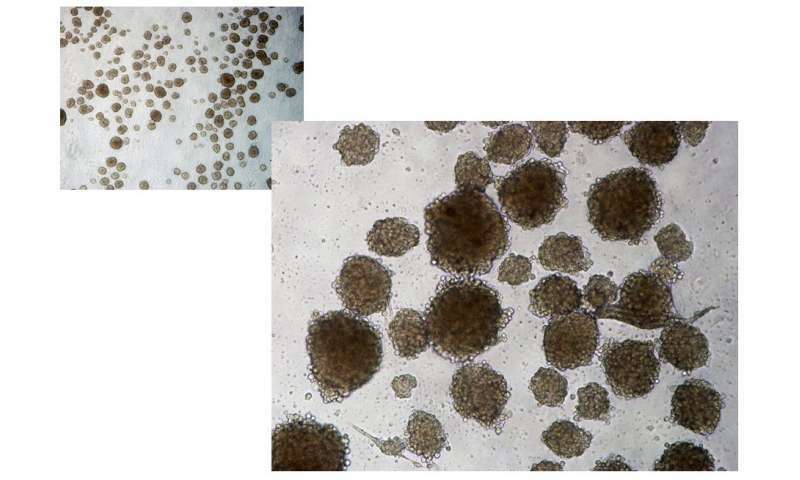 These iPS cells are artificially created and do not exist naturally. A research group from Kumamoto University, Japan, has been studying the original initialization function within the human body for several years. In 2012, they introduced Lactobacillus acidophilus into human skin cells, which induced differentiation into neurons and chondrocytes. Eukaryotic organisms are said to have emerged about 2 billion years ago, and this research provided some support for endosymbiosis theory, the theory of how eukaryotic cells evolved. The theory states that prokaryotic cells acquired intracellular organelles, such as mitochondria, through bacterial infection. It is assumed that prokaryotes were constantly exposed to bacterial infections, and by incorporating the intracellular substances of the bacteria into the host cell's cytoplasm and nucleus, they evolved into cells with diverse properties. 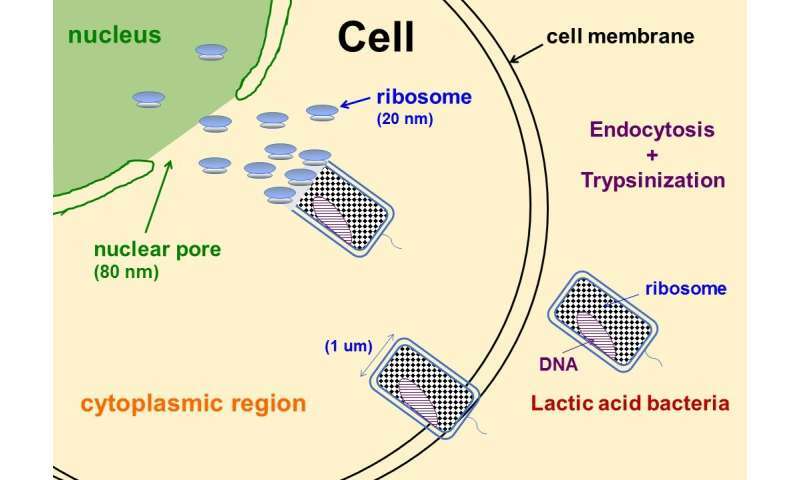 Now, pioneering research from Kumamoto University has confirmed that the incorporation of ribosomes into human skin cells will form new cell masses, and that the Lactobacillus-derived cell-initialization substance is also the ribosome. Ribosomes are cellular organelles that synthesize proteins from RNA-derived information and are present in the cells of almost all organisms. They are composed of two large and small subunits, and are a complex composed of 50 or more kinds of proteins and at least three types of RNA. The researchers also found that ribosomes derived from yeast and human fibroblast cells also have the same initializing activity. Individual proteins constituting the ribosome are known to have a wide variety of functions. For example, mice that have a genetic deficiency of the ribosomal protein (L38) often have an extra rib. This means that proteins involved in cell initialization are expected to exist among the proteins that make up the ribosome. "Our study also revealed that ribosome-initialized cells can stop cell growth," said study leader Associate Professor Kunimasa Ohta of Kumamoto University. "We expect that the application of ribosome-based initialized cells to cancer cells will make it possible to stop cancer cell proliferation and change the cancer's characteristics. In the future, we hope to develop safe anti-cancer drugs based on our ribosome discovery." This research result was published in Scientific Reports on 26 January 2018.